protectors which maintain the hygiene of your mattress over its entire lifespan. to wash the entire mattress cover. Why is it important to have removable cover? A mattress cover maintains the cleanliness of your mattress. Keeping your bed fresh and hygienic is the key to comfortable and good quality sleep. Having it removable and washable/dry cleanable significantly reduces the number of allergens and dirt that may settle on your sleep surface, keeping your mattress fresh and clean andfree from odor. In addition, your mattresses will be protected from accidental spills, and the spills can be washed away easily. 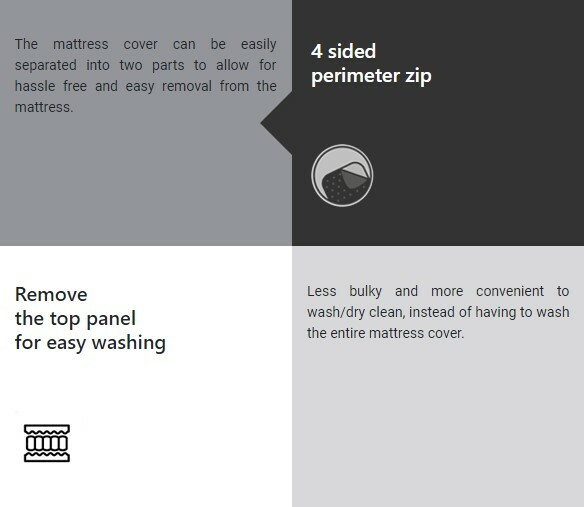 The removable cover allows you to reach and clean the inner sections of your mattresses, to ensure thorough and overall cleanliness of your mattresses. You will be able to sleep soundly knowing that every inch of your mattress is as clean as it can be! Having a clean bed not only improves your sleep, but also significantly prolongs the lifespan of your mattresses. 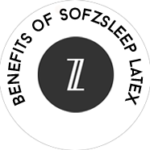 A well-maintained mattress and mattress cover ensure that the quality of your bed remains even after extended periods of use.